The Kansas legislature will begin its 2016 session under the looming shadow of a projected $190 million budgetary shortfall. As The Associated Press reported, Gov. Sam Brownback told state lawmakers he believes the gap can be addressed by redistributing state funds and selling assets. While the governor’s budget proposal avoided cuts to public education and tax increases, it does not include many spending measures that have gained bipartisan support from the state’s congress, including pay increases for corrections officers and funds for hiring additional Highway Patrol officers. “With these challenges, we must continue to hold the line on state government expenditures while protecting core state services,” Brownback told lawmakers. Kansas has experienced funding gaps since 2012, following measures by Brownback to lower income tax rates and cut income taxes for qualifying small business owners. In fiscal year 2015, the budgetary deficits were addressed through sales and cigarette tax increases and a transfer of millions of dollars from the state’s highway fund to the general fund. According to the outline Budget Director Shawn Sullivan presented to legislators, Brownback’s administration is forecasting an $88 million reserve by the end of June 2017. However, other state officials including Sen. Laura Kelly, a member of the Senate Ways and Means Committee, have questioned whether the administration’s revenue estimations are accurate and whether the budget shortfall can be overcome without undoing the governor’s previous tax cuts. As The Wichita Eagle reported, Brownback’s budget plans call for spending cuts of $98.9 million in fiscal year 2016 and another $105.7 million in fiscal year 2017. 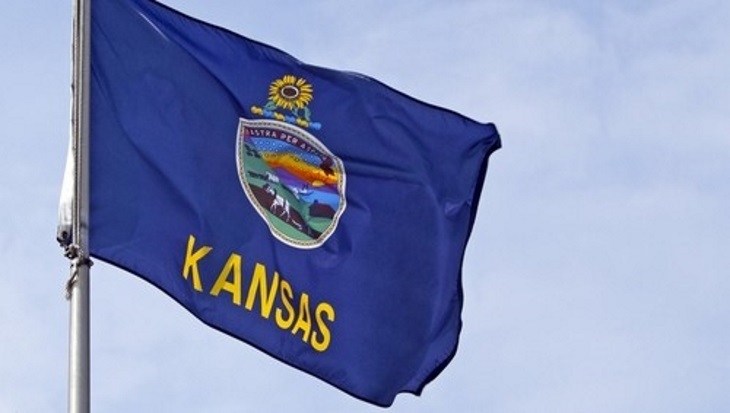 The proposal involves shifting funds from the Kansas Department of Transportation and early childhood programs, as well as selling $25 million worth of assets from Kansas Bioscience Authority. Brownback has also suggested charging parents for participation in Parents as Teachers, an early education program for children 3 years old and younger. Additionally, the governor’s plan includes changes to KanCare, the state’s Medicaid program. Brownback has suggested KanCare patients be required to try less-expensive drugs before seeking specialized or non-generic medical treatment. A program that uses the “health home” model to treat patients with severe mental illness would also be eliminated under the governor’s proposal. The combination of these two measures would save the state $24 million in 2017, the governor’s administration announced. Speaking with NPR-affiliate KCUR, Rick Cagan, executive director of the Kansas chapter of the National Alliance on Mental Illness, cautioned that step therapy, the process of restricting patients’ access to more costly prescriptions until cheaper versions of the drug are tried, could pose particular risks for people with severe mental illness. As KCUR noted, the state will also have to overcome projected increases in Medicaid spending, possibly by as much as $16.6 million in fiscal year 2016, and $30.8 million in fiscal year 2017. Changes in federal funding to health home programs would also require the state to cover the cost of a 56 percent reduction in funds if it decides to continue the program. Overcoming budgetary shortfalls can pose daunting challenges for the public sector. Whenever funds are shifted among departments or programs, lawmakers need a comprehensive way to understand how these changes will impact the lives of their constituents, as well as see how effective any cuts will be in addressing revenue shortages. With Questica, governments of any size can utilize a flexible, web-based platform to accurately forecast multiple hypothetical budget solutions over an unlimited number of years. Through this streamlined alternative to inefficient spreadsheets, governments can evaluate the future impact of their spending decisions while increasing communication between different departments and optimizing transparency for the public. With tools specifically designed to aggregate data from multiple sources, Questica can identify funding streams and revenue gaps, giving lawmakers and administrators granular insight into budget deficits. Questica provides an all-inclusive means of analyzing the strength of capital and operating budgets, as well as projections of costs from employee salaries and benefits. Public sector entities debating budgetary challenges should contact Questica to learn how flexible software can contribute to knowledgeable decision-making and accurate forecasting in the face of budget deficits.